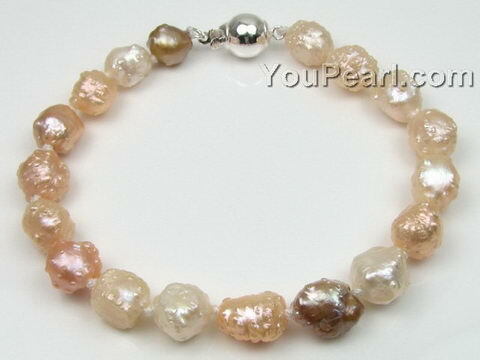 As shown on the photo, each baroque pearl has very special unique shape, and their color is so attractive. The brilliant bracelet is individually hand-knotted on silk thread, and finished with a sterling silver ball clasp. Just gorgeous and a perfect mach for my necklace, romantic l ..